Facebook announced several new products at its F8 Developer Conference this week, with a sharp focus on virtual and augmented reality. It will be a new experience for us having an option of interacting with our friends in virtual scenarios, where we will have the possibility to carry out various activities. This new feature will be known as ‘Facebook Spaces,’ which was presented a year ago officially, and during the conference at developers F8, Facebook announced the first beta of this new virtual social network for all users of Oculus. 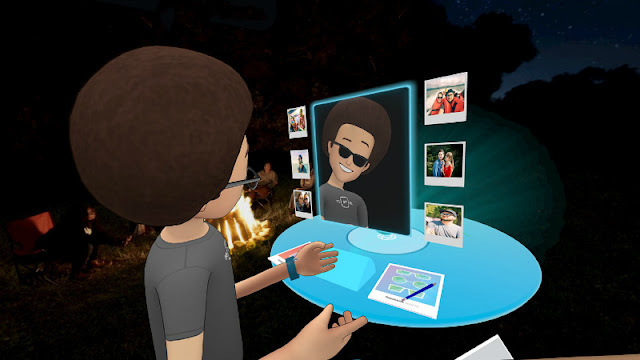 Facebook Spaces is a virtual reality, where we connect with our friends in the Facebook account in a 3D environment and seek to enhance the expression through avatars and voice messages. With this, Facebook wants to create a more natural way of communication. The appearance of each avatar is like a mimicked form that is born of mixing several of our photographs, with which we will have our image in 3D within Facebook Spaces. With this, the next thing is to find friends to chat, to visit places that are not only limited to sites extracted from another location and we can also capture 360-degree photographs to share with other people. In addition to meetings to share photos, videos, drawings in 3D, and also participate in some games. Facebook Spaces is now available in the Oculus Store for free, but to make use of it, we will need Oculus Rift, the touch controls, as they will allow us to interact with the options. Among the options, we should find this in beta version; it gives virtual tours, for example, we can visit the International Space Station with a friend or make video calls through Messenger, where you doesn’t need a contact in Facebook Spaces. Besides that, we can find spaces to chat while we draw in 3D, where we can even take ‘virtual’ selfies with our contacts.At the moment, Facebook Spaces only allows interaction between four contacts at the same time, but this number will get expand when it is officially released. The Zuckerberg company does not seek to limit itself to the Oculus platform, as they strive to extend the compatibility of this virtual social network to other platforms, something that will be announced later.